The same authoritarianism, revanchism, and criminality that have characterized the Putin regime's approach to human rights -- and that have gone unpunished, if not unnoticed, by the international community -- have characterized its actions in Ukraine, and in Georgia before it. In response to Russian aggression in Ukraine, Canada has rightly imposed sanctions on Russian officials and banks -- as have many of our allies -- and Canadian jets and military personnel have been deployed to Eastern Europe. Regrettably, however, our response to the Putin regime's systemic and ongoing violations of the rights of its own people has been rather muted. This week, human rights activist Bill Browder -- an expert on Putin's Russia -- was in Ottawa encouraging the Government to expand Canadian sanctions to include travel bans and asset freezes on Russian violators of human rights. Mr. Browder has been advocating this approach since Sergei Magnitsky, a lawyer working for his firm in Moscow, uncovered widespread corruption on the part of Russian officials, testified against them, and was subsequently jailed, tortured, and killed in 2009, and posthumously convicted -- in a Kafkaesque cover-up -- of the very fraud he had exposed. Mr. Browder was last in Ottawa in 2012 to make the same case. At that time, members of all parties on the House Subcommittee for International Human Rights unanimously called on the government to "explore options to impose visa restrictions and asset freezes on those Russian officials where there is documented evidence supporting their implication" in the Magnitsky affair. Since then, while the United States has instituted such sanctions by enacting the Magnitsky Act, and the European Parliament has passed a resolution calling on European governments to do likewise, progress on the issue in Canada appears to have stalled. Yet, as Mr. Browder reminded us this week, targeted sanctions have the potential to be particularly effective in Russia because Russian officials -- including those close to Putin -- tend to store and spend the proceeds of their crimes beyond their country's borders. They deposit their money in foreign banks, vacation at foreign resorts, send their children to foreign schools, and do business with foreign companies. Consequently, by denying them the ability to travel and trade around the world, countries like Canada are in a position to impose tangible punishment on the perpetrators of human rights violations, and to deter such violations in the future. The reluctance, in Canada and elsewhere, to impose sanctions in response to violations of human rights stands in stark contrast to the promptness with which sanctions were imposed following Russia's invasion of Ukraine. The two issues, however, are inextricably linked. The same authoritarianism, revanchism, and criminality that have characterized the Putin regime's approach to human rights -- and that have gone unpunished, if not unnoticed, by the international community -- have characterized its actions in Ukraine, and in Georgia before it. 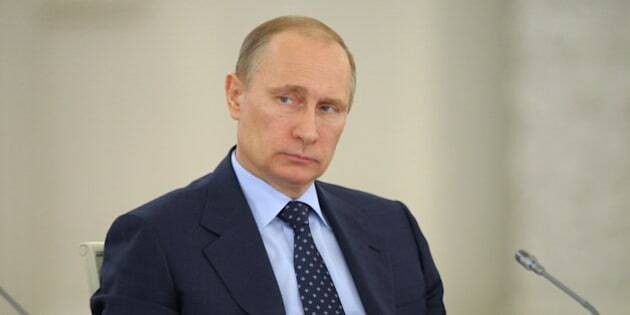 Vladimir Putin has brutally suppressed political dissent; persecuted religious, sexual, and ethnic minorities; cracked down on free expression, including in the press and on the Internet; harassed non-governmental organizations; made a mockery of judicial independence and the rule of law; and supported the murderous regime of Bashar al-Assad in Syria, among other intolerable transgressions. Yet the world essentially acquiesced in these and other intolerable transgressions by the Russian regime, this year alone granting Russia a seat on the UN Human Rights Council, while continuing to do business with Russian oligarchs engaged in corruption and to treat Russian officials with diplomatic civility. Such silence in the face of human rights violations in Putin's Russia cannot but breed disrespect for international norms and international law. It is time for Canada and other like-minded countries to treat human rights violations as seriously as we do violations of political independence and territorial integrity. In 2011, I introduced a Private Member's Bill that would have Canada impose sanctions on those complicit in the Magnitsky affair; I invite the Government to make the bill its own, or introduce similar legislation, or indeed use its executive authority to similar effect. Ultimately, nations that value human rights and the rule of law must engage on the Magnitsky file and enact Magnitsky laws, or be exposed as having far less concern for these fundamental principles than our usual rhetoric would suggest.